We in the United States face unabashed fascism and shameless hate today. After seven years of the Tea Party and a Republican Party unwilling to work with the nation’s first black president, hate, vitriol and racist lies have reached a fever pitch. Just look at the headlines from the past few weeks. Donald Trump embraces open racism. 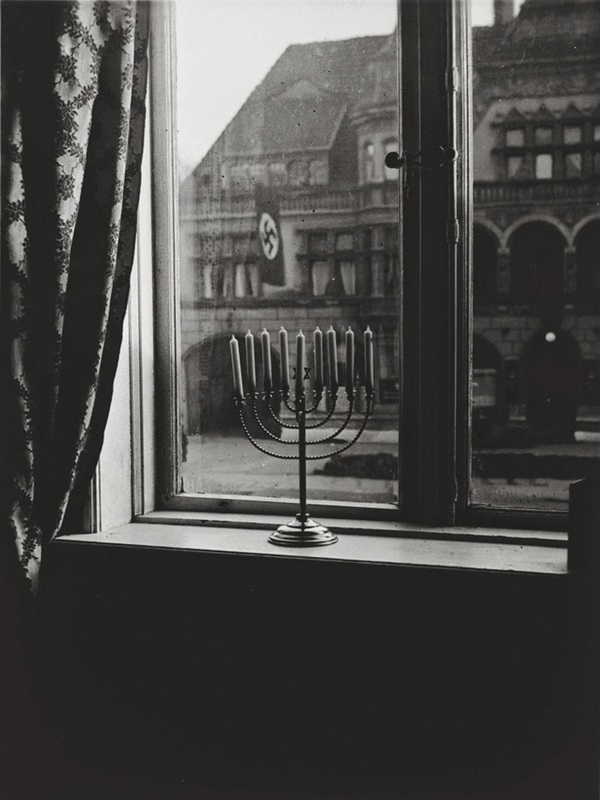 On this final night of Hanukkah, the celebration of an eight-night miracle so long ago, let us remember in less than a lifetime, less than a heartbeat, pent up bigotry and hate can be unleashed and focused with deadly consequences. Let us not fool ourselves into believing that it can’t happen again or that it can’t happen here. For people today who are victimized, it is happening here, today. And yet again, just like 84 years ago, otherwise goodhearted people close their eyes to the possibility, or worse yet, believe that there’s a place for bigotry and hate in our modern country. We must stand up for victims today, but we also must stand up in honor of the victims of the past, those who waited in vain for someone to stand up for them. This entry was posted in Civil Rights, in the news, Uncategorized and tagged Donald Trump, Fascism, Hanukkah, justice, syrian refugees. Bookmark the permalink.